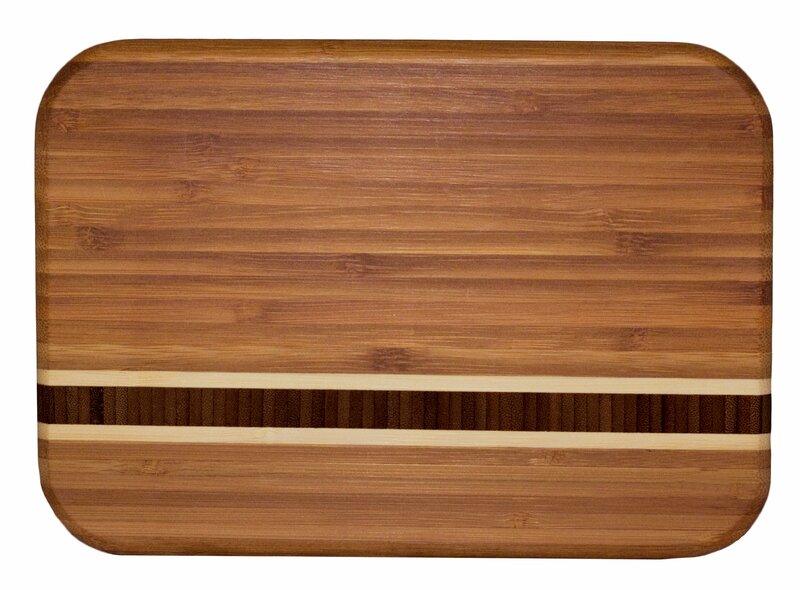 Size: Barbados 9 x 6.5-inch Part of Totally Bamboo's Caribbean Collection, the Barbados cutting board isdistinctively attractive, super strong and totally "green"! It offers a solidengrain inlay. It's durable; made of sturdy bamboo. The benefits of usingbamboo are numerous. It holds the promise of a sustainable, cost effective andecologically responsible alternative to the widespread clear cutting of ourold growth forests. Totally Bamboo uses Moso bamboo; this bamboo is not a foodsource, or a habitat, for the Giant Panda. Totally good for you and totallygood for the environment! Board is easy to maintain. Wash with warm water andoccasionally use Totally Bamboo's Revitalizing Oil to extend life and keep itlooking beautiful. Measures 6- by 8- by 5/8-inches.